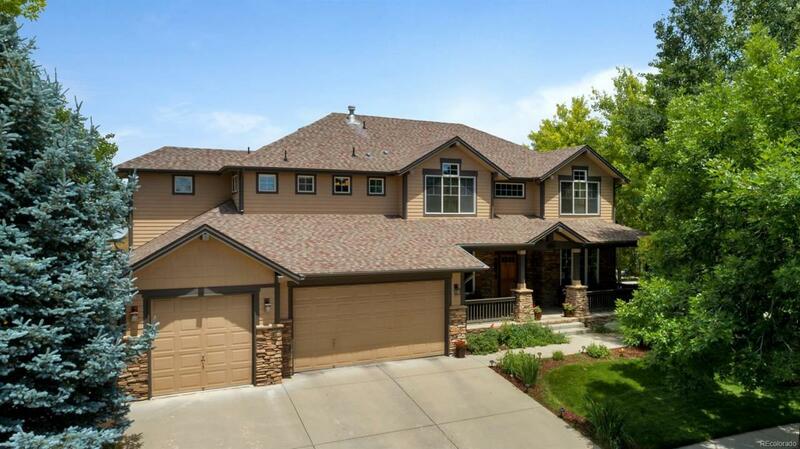 Custom 5 bed, 5 bath home backing to the 1st fairway on Broadlands Golf Course. Spacious open and bright floor plan with a 2-story family room and foyer; finished garden level (windows above grade) basement with wet bar and guest suite with full bath. 4 upstairs bedrooms with private baths. Master suite has a huge walk-in closet, spacious 5-piece luxurious bath. The covered back patio is fantastic for entertaining with views of mountain peaks. Beautiful designer finishes. Well maintained and clean.